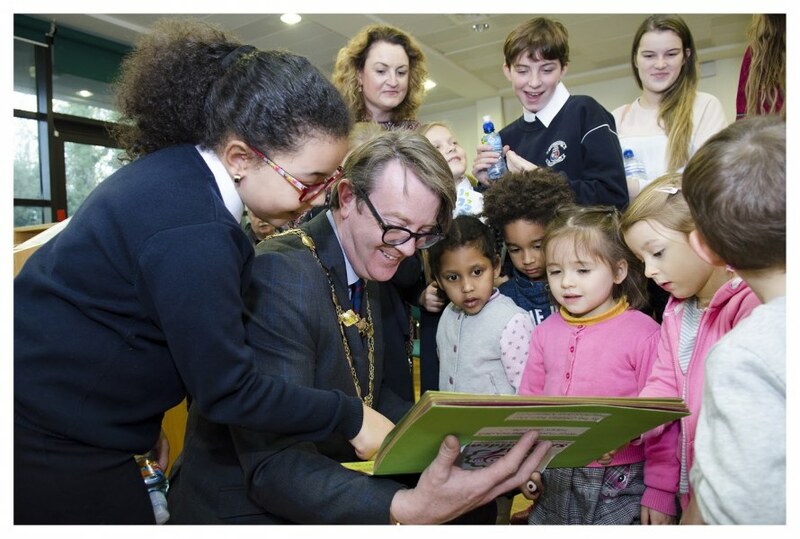 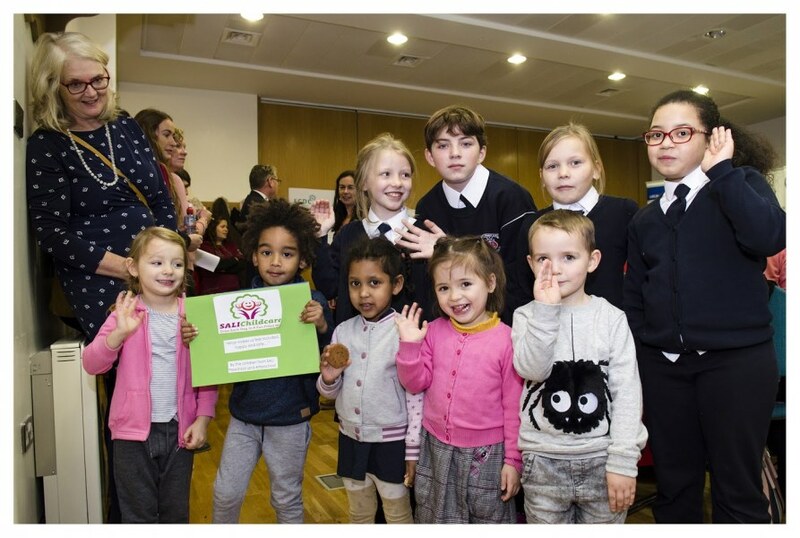 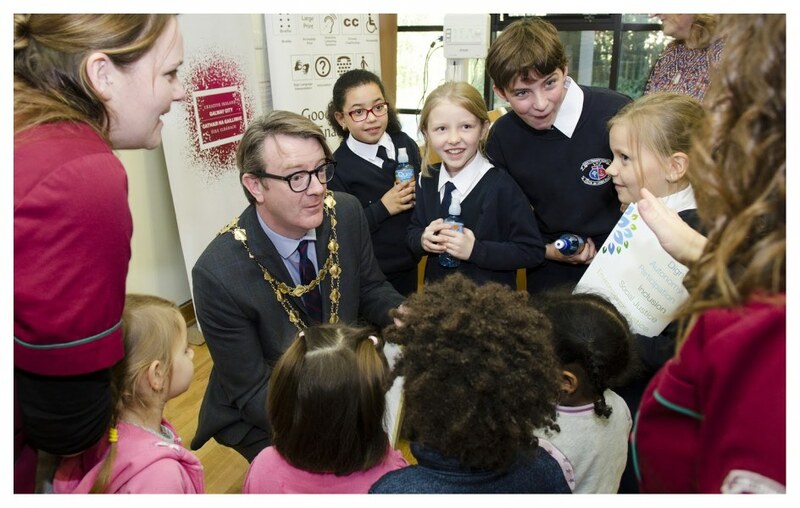 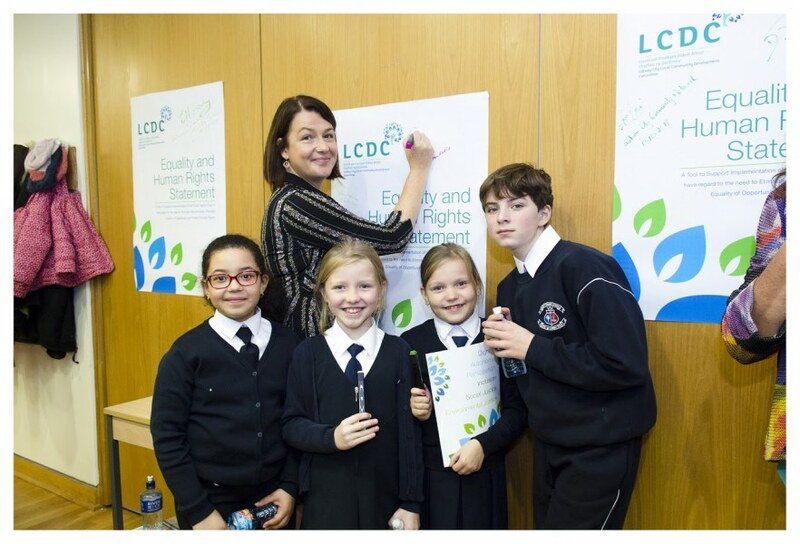 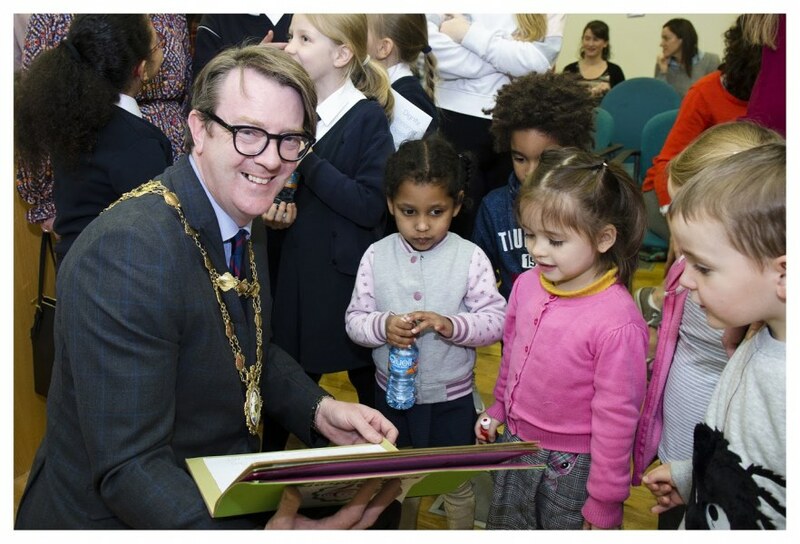 Children and staff from SALI Preschool and Afterschool, based at Scoil an Linbh Iosa, Francis Street, Galway, attended the launch of the Galway City Equality and Human Rights Statement at City Hall on 17th October. 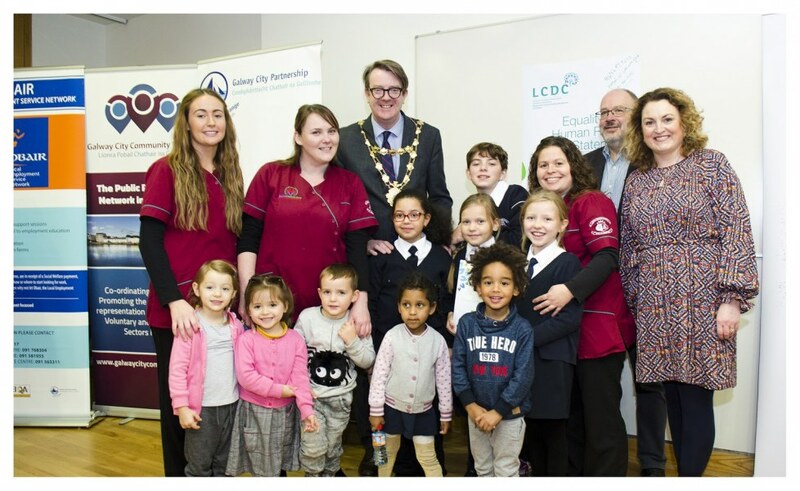 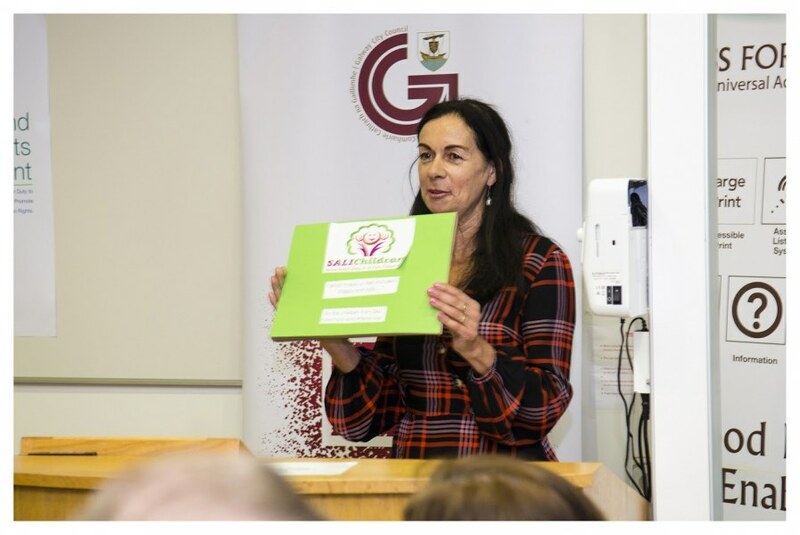 The event was one of a number of events organised to celebrate Social Inclusion Week in Galway. 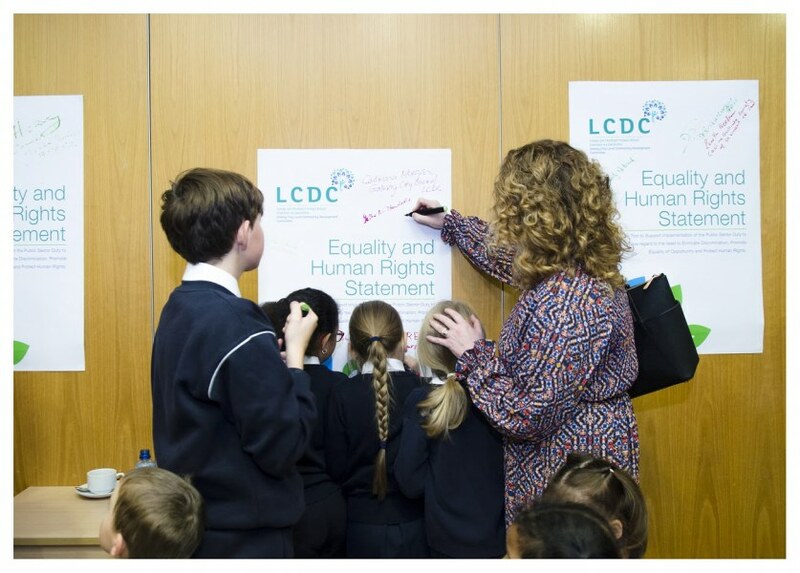 The Equality and Human Rights Statement was produced by the Galway City Local Community Development Committee (LCDC). 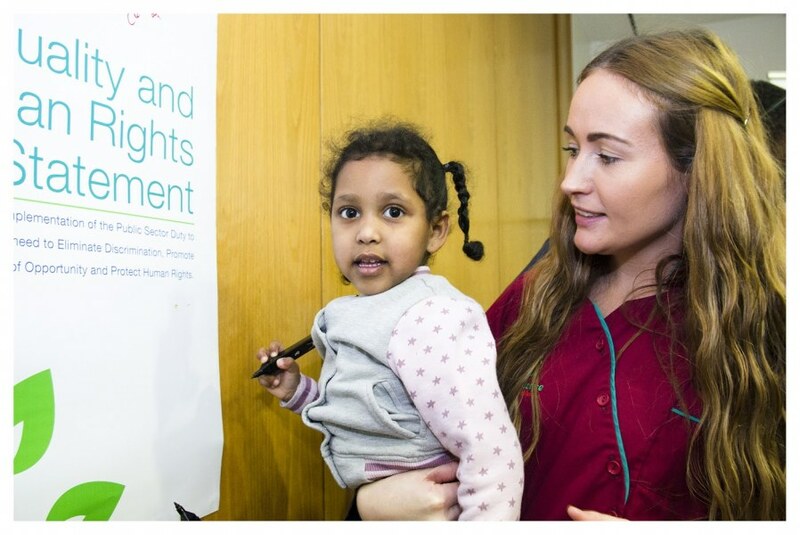 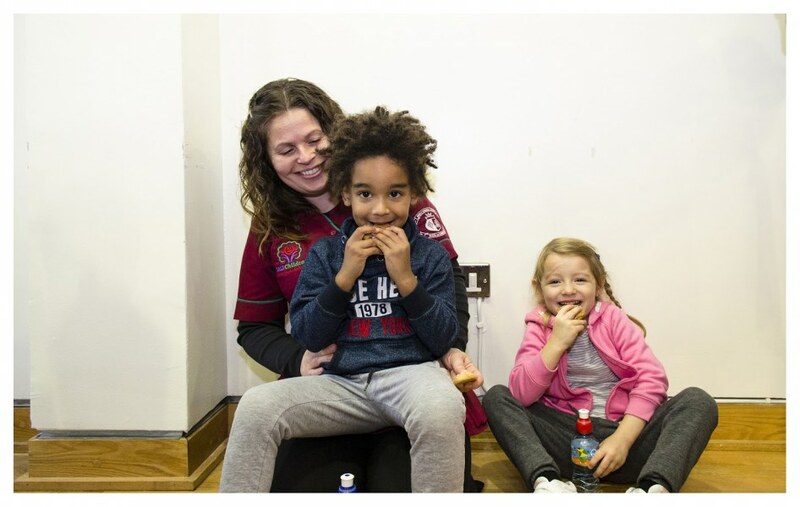 SALI Childcare is one of 171 early years services in Galway city & county that took part in an Equality, Diversity & Inclusion training programme in 2017 and 2018, as part of the national Access & Inclusion Model Programme. 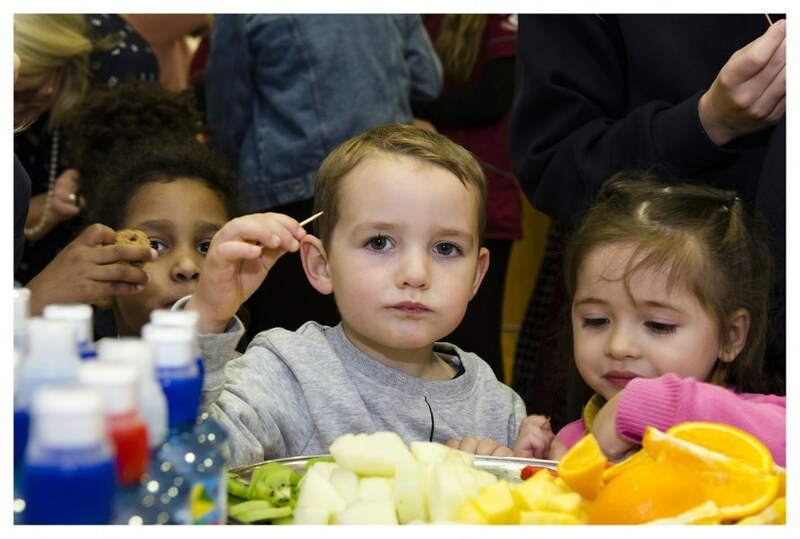 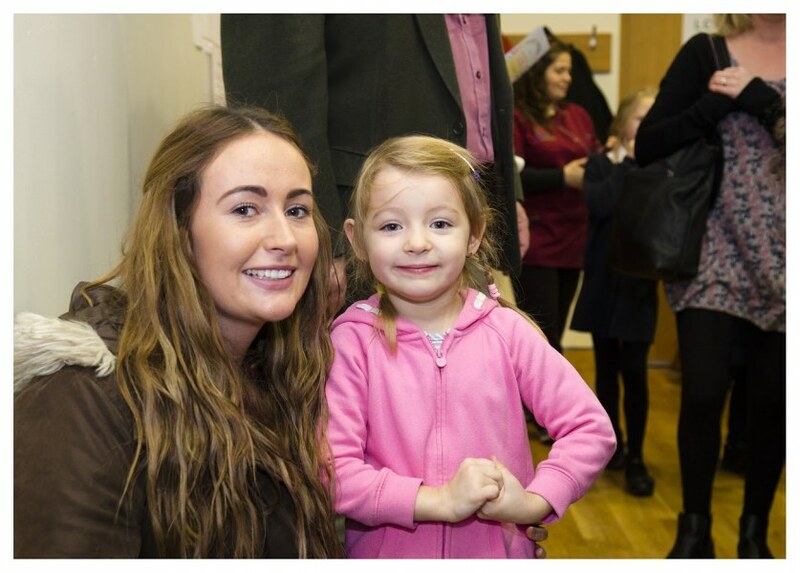 The training was provided by Galway Childcare Committee. 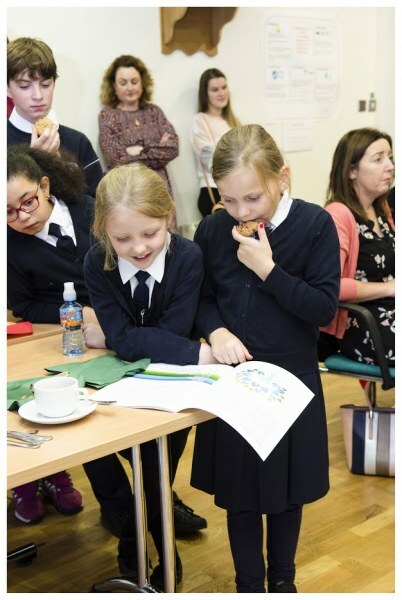 the provision of an inclusive participative culture and environment. 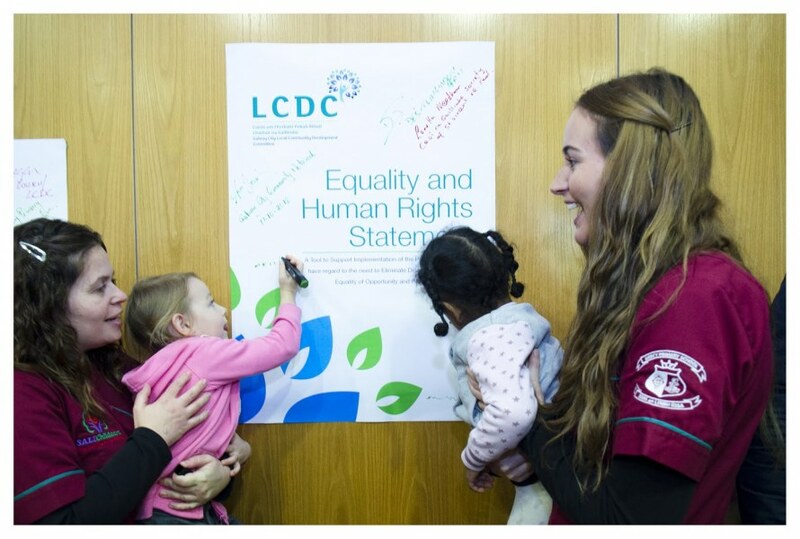 This charter reflects all of the values and objectives of the Galway City Equality & Human Rights statement. 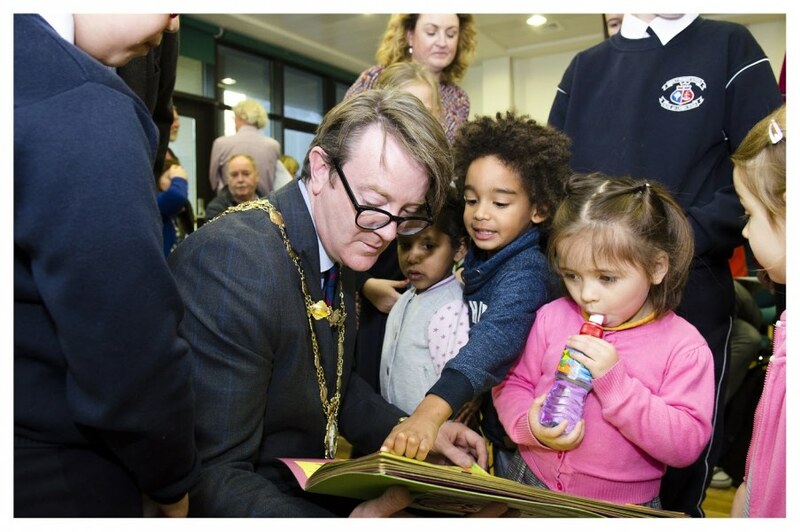 On the day, the children from SALI Childcare Service brought with them representations of what they like about their city, their preschool service, and the people who help them to feel a sense of belonging and to celebrate their uniqueness as citizens of Galway.